Hello everyone, we have an important update from Intouch Partners dating Wednesday 27/02/2019. First of all, Mr Spin’s wagering requirements are changing! The wagering requirements for bonus credit on Mr Spin is set to change as of Thursday, March 7 2019. 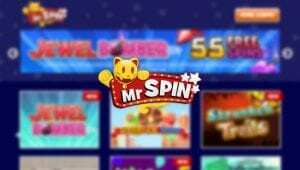 As a representative, we have now updated all content and banners referencing Mr Spin’s old wagering requirements, and all related terms and conditions. From Thursday, March 7, Mr Spin’s regular players can expect an x20 wagering requirement on all bonus credit. There remain no wagering requirements on player deposited money. There is no change to Mr Spin’s current welcome bonuses, but the significant conditions include the following new wagering requirements. The significant conditions are 18+. New players only. Up to 50 locked free spins available to win via the New Player Bonus, usable on Reel Royalty only. All winnings paid as bonus credit with a x20 wagering requirement. This Bonus expires 14 days after player registration. Max withdrawal without depositing is £50. 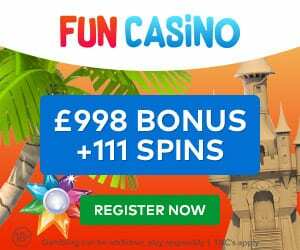 100% deposit match of first deposit, up to £100 awarded as bonus credit. Deposits have a x1 wagering requirement. You can withdraw the funds in your cashable credit account. T&Cs apply, BeGambleAware.org. Most importantly, this casino is for players 18+. New players only and no deposit required. Up to 50 locked free spins available to win via the New Player Bonus, usable on Reel Royalty only. All winnings paid as bonus credit. This Bonus expires 14 days after player registration. Max withdrawal without depositing is £50. Bonus credit has x20 wagering requirement. Deposits have a x1 wagering requirement. You can withdraw the funds in your cashable credit account. T&Cs apply, BeGambleAware.org. But That’s Not All – There are Many More Deals to Be Claimed! The terms and conditions begin with players 18+. New players only. 100% deposit match of first deposit, up to £100 awarded as bonus credit with a x20 wagering requirement. Deposits have a x1 wagering requirement. You can withdraw the funds in your cashable credit account. T&Cs apply, BeGambleAware.org. First off, the terms and conditions are as follows. Players must be 18+. New and existing players. Referred friends must activate the account for an award of £5 and deposit for the award of deposit match bonus. The deposit match bonus is capped at £100. 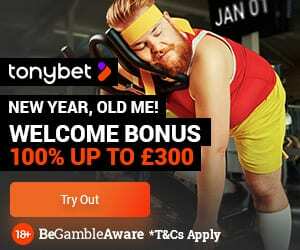 Also, £5 and deposit match bonuses awarded as bonus credit & cannot be withdrawn. Bonus credit has a x20 wagering requirement. Max withdrawal without depositing is £50. Deposits have a x1 wagering requirement. You can withdraw the funds in your cashable credit account. T&Cs apply, BeGambleAware.org.